COMMENTS: This is a true black. Just in time for Halloween. Great in melt and pour. Have not tried in cp, plan on making a batch this weekend. COMMENTS: This is a true solid deep black glitter. Perfect for Halloween soaps and black bath bombs and fizzies. The extra sparkle when added to black, charcoal or grey products really give an added upscale dimension and glamour.
" Great for painting on my bombs"
"Added nice touch to soap." 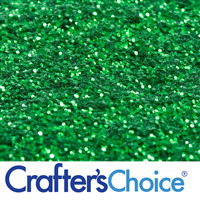 COMMENTS: I used this glitter in my clear Halloween soaps. I had an embed in the middle of the soap and the black glitter was suspended in the clear base and it added a nice touch to my soaps. I bought the sample size to try and a little goes a long way. COMMENTS: I bought this on a whim, just to see how it would come out. But when I say I love it, I love it! I've had a few people try some products I made with this glitter, and they love the way it blends with the different colors I used. COMMENTS: Looks really nice with CP soap. Kind of an onyx look. "A real pretty black shimmer"
COMMENTS: I used this in one soap and on another. Adds some nice black accent. Definitely getting this again! COMMENTS: Adds just the touch I wanted for my black bath bombs!! COMMENTS: I love this for bath fizzies and cupcakes! 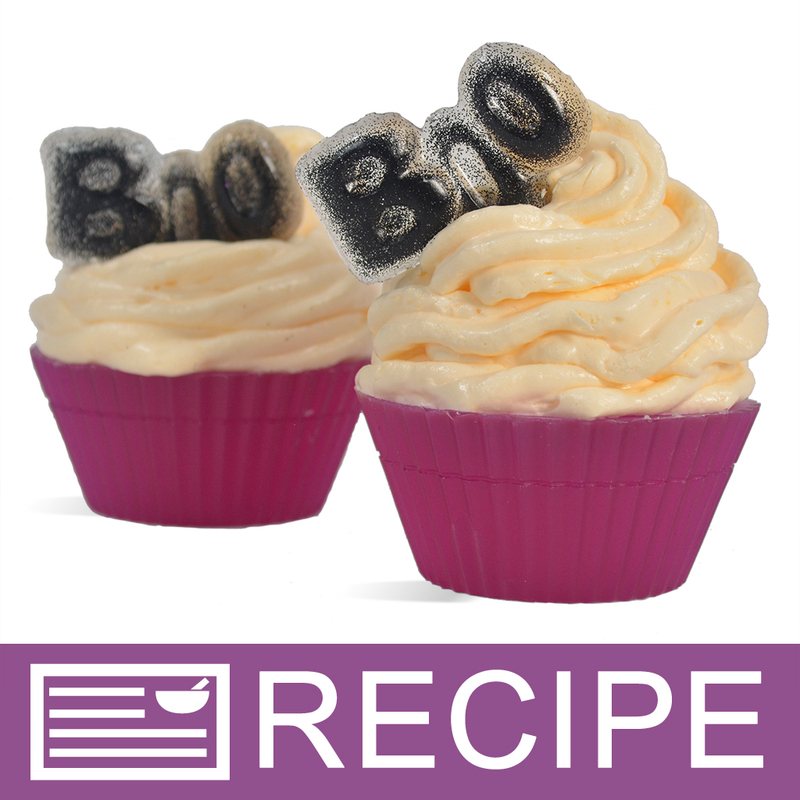 It really gives a nice finishing touch to bath cupcakes and it's not too coarse. "Speckled Bath Bombs, not so much"
COMMENTS: I used this product to try and make speckled bath bombs. It didn't really combine well and just made my mixture grey. I could have been using it improperly by putting it in a bath bomb. I am new to this, so I was experimenting. Product is nice and sparkley in the container. Great Quality. COMMENTS: I really like this product, I am making M&P soap molds of Darth Vader and it adds just the right shimmer to my product. COMMENTS: I use a lot of activated charcoal for my blacks but keep this on hand for a little black glitter to spice things up. "Adds that extra something special "
• Come in a smaller size particle? COMMENTS: So I used this as a sprinkle of top of my "Witches Brew" Halloween themed cold process soap. I don't prefer black as a colorant in my soap, but you have to have black for a Halloween theme! So I swirled some copper sparkle mica and some matte lavender oxide pigments in my soap and this went on top and it is gorgeous! COMMENTS: Love this product. Works great for my decorations! COMMENTS: I love how this looks as an accent in clear soap. It really highlights the details you want to show. COMMENTS: gave my Australian tea tree soap with activated charcoal a nice sparkle. Very gentle on the skin. "Adds a punch to the top of MP soaps"
COMMENTS: I love this for my Derby soaps. Adds a POW to the top! "got is as a free product"
COMMENTS: This looked awesome sprinkled on top of my black and white soap! "MP Soap with Jet Black Glitter"
COMMENTS: My mistake on using this glitter in m&p clear base soap. My glitter sank to the bottom of my mold. I thought it would be evenly distributed through out my soap; but it wasn't. I am open for suggestions on which type of base to use this glitter in as to where it will freckle through out the whole bar. 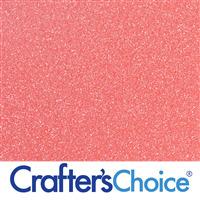 This is a great glitter and I would buy again if I could prepare it in the correct soap and get it right the second time around. COMMENTS: Beautiful black glitter. Perfect for 'galaxy' products. "Best Black Gitter - ever"
COMMENTS: This black sparkle is great. It is easy to work and blends well in the soap. "FANTASTIC! Used with Body Butter and Glitter Gel"
COMMENTS: Bought this to make my nieces body glitter for Christmas gifts. It looks great. Then I decided to make body butter and put it in that as well for them. I love how they look and decided to do a set of each in every color for them. I can't to see what they think. When I told a couple friends about what I was making they asked for some for their girls as well. Making the glitter gel is so easy I'm making them for all my friends girls for Christmas as well. And all my girlfriends will be getting the body butter with glitter. • I love how well it mixes in. • Doesn't clump together when mixing. COMMENTS: I used this for a pencil line in my CP soap and I was thrilled with the results, very stunning and really make the bar pop. I have also sprinkled on the top of my black loaf soaps and again really made the bar pop. Will be trying to use it for stamping now, can't imagine it won't look great. COMMENTS: Received as a sample...more like a fine mica powder than glitter. COMMENTS: I love the way this looks as a pencil line in my cp soaps - gives it kind of a granite look. I use it sparingly. It's also a great way to top off my holiday soaps - especially around Halloween. COMMENTS: I love the size & shimmer of WSP's glitter. I can find several uses...soaps, bath bombs...I've even used in lip glosses, though I'm not sure if that's recommended. Even so, it came out beautifully. I'll purchase again, especially during the Halloween season! COMMENTS: Great obsidian black glitter color for soaps. Looks best in clear soap. COMMENTS: Easy to use, easy to blend. received as a sample. COMMENTS: Glitter is supposed to be sparkly. I don't know what this really is but it does NOT sparkle. Very disappointed! WSP Response: Glitters and Mica Powders will not produce a shimmer or sparkle in an opaque base such as a lotion or a white soap base. It will, however leave the shimmer on your skin after application of a lotion or cream. 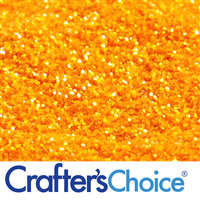 The shimmer and sparkle really becomes evident when used in clear products such as MP Soap, liquid soaps and body gels. "good to add texture to my sand soaps"
COMMENTS: I love the way this sparkles subtly in my most popular ocean soaps. it adds something special to it all. COMMENTS: Works very well to decorate my cp soap. And great in my bubble baths. COMMENTS: this was a fantastic accent to my black pumice soap. COMMENTS: Chose this as a free sample item. Haven't used it yet but considering it for my black salt scrub. Will be a nice little "is that sparkling?" surprise. COMMENTS: I got this as a free sample with my last order, and will be buying more! Looks great inside my liquid hand soap. I didn't think I'd like a black glitter, however, the consistency of this glitter is small & gives just the right glitter-especially in a clear soap. Inspiring me to do some creative Halloween items! Maybe some little pumpkins, or plastic spiders in the hand soap with this glitter? Very cool stuff! 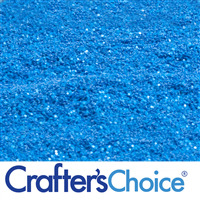 COMMENTS: LOVE glitter, I add this to my starry night soaps! Adds just enough to catch peoples eye! "Looks just like the picture"
COMMENTS: I got this as a sample and I am sure glad I did. Very pretty. COMMENTS: I use these on my bath bombs and the water looks enchanted! 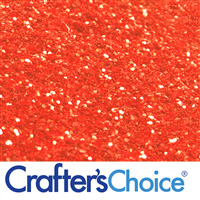 Customers love this color of glitter and request it to be used in future orders. Im thinking I need to order more soon! COMMENTS: The product is finer than I expected but is perfect for topping soap. Lots of sparkle! COMMENTS: I love this black glitter. I have to be careful not to use too much. 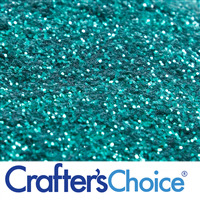 This glitter really makes some beautiful products....great for men's products. "A little goes a veeery long way"
COMMENTS: Only use a little if you want to add a sparkle to your product without making the whole thing as black as an eclipse. COMMENTS: This glitter looks really cool in CP soap! COMMENTS: This looks great in clear melt and pour. Adds a fun accent to my soap. COMMENTS: NICE SPARKLE, I NEED MORE OF THIS! COMMENTS: Sprinkled this on the top of a batch of soap on a whim and it turned out just beautiful!! Am wondering now why I let this sit in my supply closet for so long. It's a new favorite and I'll be using frequently! COMMENTS: This color of glitter is one of my favorite colors so far--second only to the iridescent white super sparkle mica. 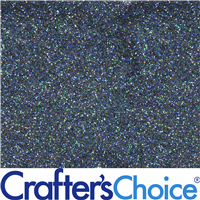 It's hard to get a great sparkle out of a black color, but this glitter has an excellent shine! I used glitter often in my soaps--not so much sprinkling on the top as I do painting it on the soap after it's done. The black gives a really nice effect! COMMENTS: Sparkly, black and super fine - just what I was looking for! Makes my soap look great! COMMENTS: Well, what can I say? I have every mica and glitter than WSP sells. The sparkle ones are breath taking in the clear bases. So, I guess I can say I LOVE THIS! I finally broke down and bought the liquid glycerin (from WSP of course) and it make a world of difference. I had the problem of the micas not mixing well into the melted soap bases, but the glycerin in a life saver. Put some in a dixie cup with the mica, stir well, add it to the soap base, and, perfection! 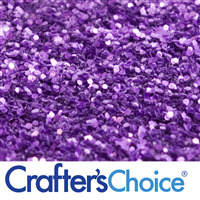 COMMENTS: I love this glitter to use on my black and white or black white and grey themed soaps. It really adds a classy touch to them. It has a really fine texture and holds up well during the curing process!! 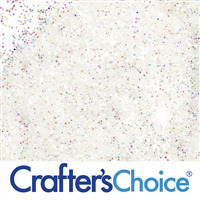 "I bought this glitter for bath bombs and it mostly sinks to the bottom or floats on top. Am I doing something wrong?" Staff Answer You are doing nothing wrong. 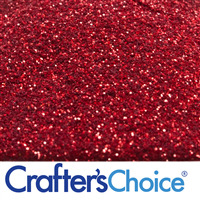 Glitter will fall to the bottom and is not meant to disperse or suspend throughout the product. If you want a color to disperse throughout the water, we recommend the Stained Glass or Bath Bomb colors. "When used in bath fizzes will this color the water ?" Staff Answer This will not actually color the water but you will see the black flecks floating throughout the water.